Jon Benson is a life long resident of the Dassel area. He has been involved with community theatre in Dassel-Cokato since its inception in the mid-1970's with the Village Players. Since then, he has been involved in numerous productions including, "Les Miserables" (Thenardier), "Fiddler on the Roof" (Tevye), and "Plain Hearts" (director). Jon looks forward to serving on the board of directors of the Fungus Amongus Players. Beth Cronk learned to love theatre as a child by watching Dassel-Cokato high school and community shows with her mom and her aunt. She went on to perform in several herself, and her children have acted in local productions, as well. Beth believes excellent community theatre is an essential part of the fabric of the Dassel-Cokato community, and she is happy to join FungusAmongus to work to sustain this legacy and expand local opportunities. 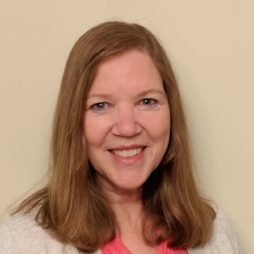 Beth is the Meeker County Librarian for Pioneerland Library System, and she lives in the Dassel area with her husband Ken and their three children. Dave Metcalf is a retired teacher of English, Speech and Theater who worked at Howard Lake-Waverly-Winsted H.S. for nearly 40 years. He has directed over 150 productions for high school and community theater in various area communities. In the past three years he has directed "Les Miserables" and "Fiddler on the Roof" for Dassel-Cokato Community Theater. He has also led FungusAmongus Players to two consecutive performances at the AACT National Festival, directing "The Romancers" (2015) and "The Voice of the Prairie" (2017), which both ranked among the top 12 community theater productions in America. Barry Mielke was introduced to community theater driving his daughter to auditions, rehearsals, and performances. As he watched lumber, canvas, music, and dialogue take shape into a common shared vision, he saw theatre was more than acting and knew he had a role to play. He is excited for the future of FungusAmongus and the variety of opportunities the expanded season will offer the community. Barry lives in rural Lester Prairie and his days are spent as a software engineer, but his true vocation is that of a husband, father of six, and grandpa of three. Elisabeth Nelson is no stranger to the world of theatre. She has been involved in many productions over the years since she was young. Productions for FungusAmongus Players in which she has been involved include The Foreigner, The Romancers and Plain Hearts. She greatly enjoys working in all aspects of theatre and can be found reading scripts, working back stage, in the tech booth or in the audience if she isn't on stage. Elisabeth is a stay at home mom to her son Alex and wife to Tom. She lives in Dassel. Elisabeth is excited to be a part of this journey with the FungusAmongus Players and looks forward to seeing the company grow and can't wait to see all of the amazing shows that they will continue to bring to our community. Steve is a long time supporter of the arts, including community theatre, in the Dassel-Cokato area. You've seen him over the past several years both attending and volunteering at several performances, including our winter production dinner theatres. He's looking forward to bringing his experience in both business and supporting the arts to the FungusAmongus board. Steve lives in Dassel with his wife, Becky. He is a broker and owner at Coldwell Banker Saber Realty in Cokato. John and his family have been involved with many area fine arts programs since arriving in 1999, including prop building and instrument creation for Winter Drumline and Marching Band. For several years, John has been involved with community theatre in D-C. You may not recognize him from any memorable performances; his contributions are of the off-stage variety. From set building to stage hand, John has enjoyed his involvement with community theatre, including "Diviners", "Les Miserables", "The Foreigner", and others. John is honored to join the FungusAmongus Board of Directors. He is excited about the growth opportunities for the arts within our community, and to be part of providing quality theatre to our community by members of our community and surrounding areas. Kurt has been involved in theatre for, well, quite awhile. He has directed, done sound and lighting, and set design and construction. But, mostly he has been an actor. He is excited about being on this new board because, like any actor, he relishes the creative process. And what a great group of people to create with! After taking time to raise her children, Dawn is thrilled to reconnect with the theater community, especially as part of the gifted Fungusamongus family. She has a degree in theater and dance from St. Olaf college and through the years has dabbled in directing, choreographing, and acting. She currently lives and teaches in the Annandale area. Becky has been active with community theatre in the area since 2002. She has done everything from acting to set building to painting to sewing to stage managing to running sound. She feels theatre provides a myriad of opportunities for people of all ages and interests to be involved in an activity that enhances and enriches life in our towns. Becky is married to Ron, mother to three grown sons, mother-in-law to two wonderful daughters-in-law, and grandma to two adorable grandchildren. She is a retired special needs paraeducator. Interested in serving on the board in the future, or volunteering to support the board and theatre in various activities? Click here to let us know!